Leave your shoes outside the door and keep cellphone use outside the practice rooms. Amenities include a spacious lounge for the community to gather, a treatment room for private sessions, a shower, and kitchen with filtered water and complimentary tea bar. Embracing diversity and honoring that which connects us all, JP Centre Yoga's mission is to establish a community model that celebrates physical, emotional, and spiritual awareness for JP and beyond. JP Centre Yoga classes are designed both to challenge and to unwind, all in a non-competitive environment. 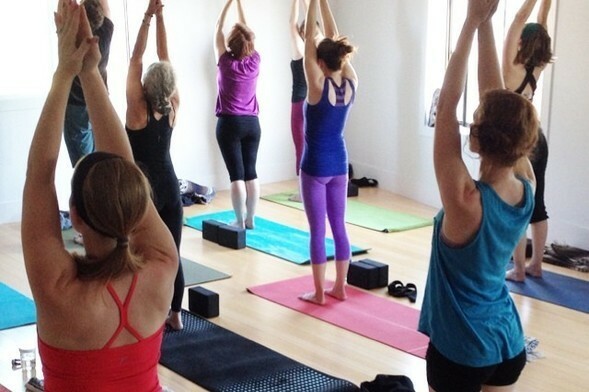 Offering almost 50 classes per week, most classes are threaded in vinyasa, a breath-synchronized style of movement, promoting strength, flexibility, and mindfulness practices. Music may often accompany a class. The studio regulates the practice room temperature to about 78 degrees, except for Hot Yoga, which is heated to 90.